Continued advances in the connected home are slowly paving the way for a day when we never have to get up off the couch. That day isn't here yet, though, so we still need to make the occasional trip to the bathroom. 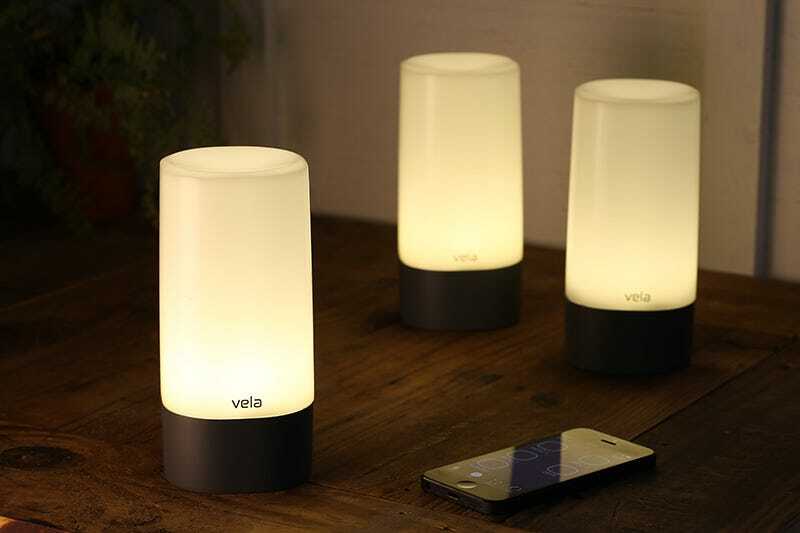 Which makes this Bluetooth-controlled LED lantern—called the Vela—the perfect interim device. It can illuminate a dark hallway when needed, but can also be completely remotely operated from your smartphone. And we're not just talking about turning the Vela on or off. The accompanying app lets you adjust the lantern's brightness using an on-screen slider, and it will even give you a real-time estimate of the boost in battery life after dimming its glow. The app also lets you set up timers, for turning it on and off at daily intervals, or even cycling through various colors since the Vela can change its tint through the RGB spectrum for different moods. There's even a flicker mode which uses a custom algorithm to randomly flash the Vela's LEDs, recreating the ambience of a candle's flame. And that should also help the lantern max out its promised 16 hours of illumination on a single charge from its included corded dock. Update: If you've been patiently biding your time for a chance to buy a Vela lantern, your wait is finally over. Twisthink has officially started a Kickstarter crowdfunding campaign to put the Vela into production, and you can secure one of the LED lanterns with a pledge of $80. The company is hoping to raise $750,000 in funding through this initiative, and is optimistic that it will be able to deliver the lanterns later this year if they reach their goal.